To enter the giveaway you MUST be a follower of Closet Fashionista (with google or bloglovin) and LIKE celestemichelle on Facebook. 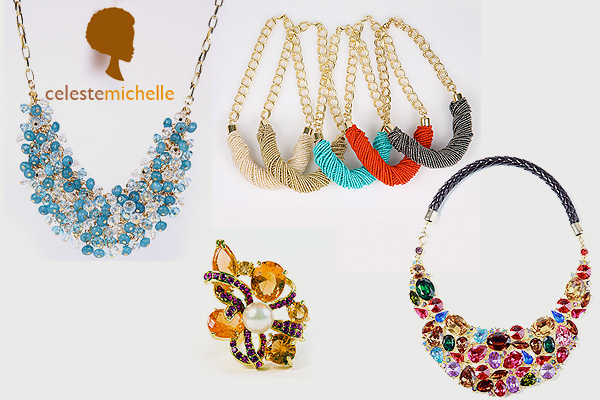 Also, head over to the celestemichelle website and let me know what your favorite piece is! The giveaway is open until September 1st [well, 11:59 on August 31st] and is open to US readers (sorry international girls, hopefully I'll have a giveaway for you soon)! For extra entries do any or all of the following. Leave a separate comment for each additional entry because I will be using random.org to pick a random comment number. I'm a follower on google and I like Celestemichelle on Facebook and I love the black jewel bib necklace wuth grosgrain collar! Hello,my name is Emily and I draw fashion designs.If you want to see it,do it on crazykidstyleemcks.blogspot.com. Unfortunately,I cant enter the competition. that necklace is totally gorgeous! 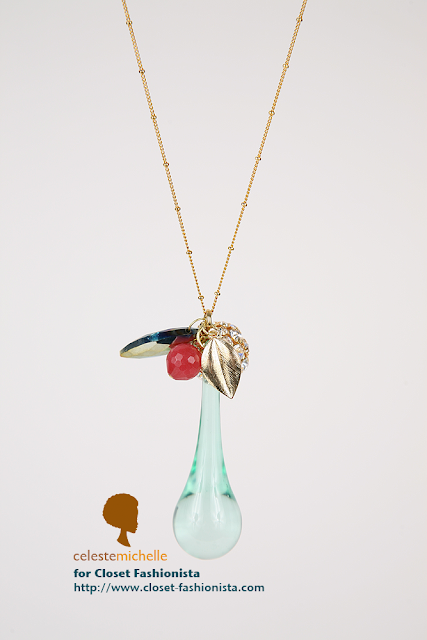 I like the Crystal Jewel Bib Necklace with Grosgrain Collar best. My face is the turquoise bib necklace! Definitely a statement necklace! I love the beaded torque necklaces. So cute! that necklace is totally gorgeous. I follow you on blogloving. Such a gorgeous necklace! Please have a similar giveaway soon for your international readers. Love this brand. Hope you have a great weekend ahead. I love the beaded torque necklace! Oh that is a tough decision. I love the coral cluster bib necklace but I also love a few of the piece in the slide show that weren't featured on the site like the lime green flower necklace. As for purchases, I would definitely pick upmsome of those rhinestone stretch bracelets in the dark blue and turquoise! Those would be great paired with a cuff and jeans! I followed on FB, twitter, and I follow Closet Fashionista on Google reader. Follower and Liked, I love the cluster bib necklace - the orange one. Thanks so much for responding to me on my site. Following you on twitter! And couldn't stop thinking about those bracelets ALL day while I was shopping! So pretty!